The Balko School Library online catalog offers access to all library resources. Check it out! EBSCO EBSCO Database provides articles from hundreds of magazines, newspapers, and other reference sources. World Book Online is an online encyclopedia available to all Balko students. 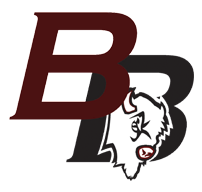 Britannica School online reference is provided by the Oklahoma State Dept. of Education. The versions provided are for the elementary and middle schools. Oklahoma Virtual Library Bring your electronic reader to the Balko School Library to download an e-book from this website.